$125. 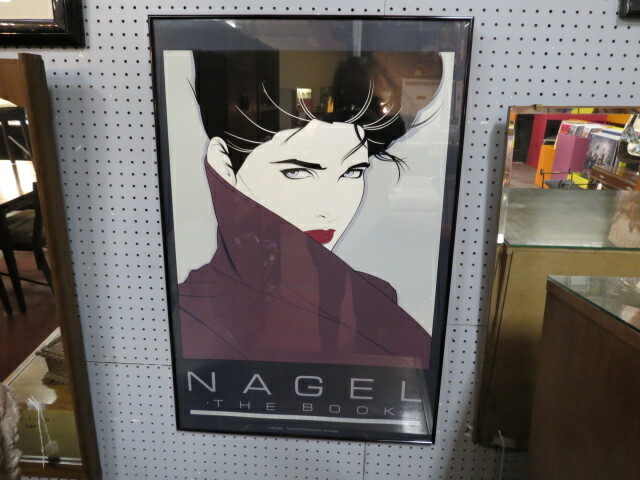 Vintage mid-century modern Nagel print of woman wrapped in a shawl, c. 1985. Beautiful woman in purple shawl with cream, black, red, gray colors. Black frame. Perfect for your gallery wall. Excellent condition. 24in wide, 36in tall.